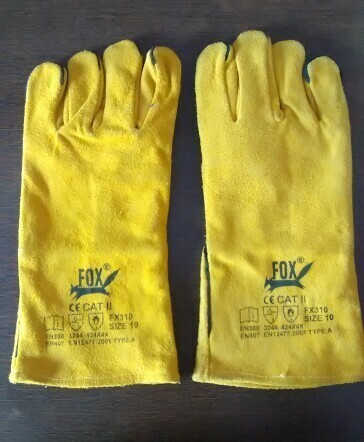 Genuien Leather Hand Gloves Export quality For industrial Use heavy duty Gloves. “JBM Industrial Corporation” is a Sole Proprietorship (Individual) based firm, established in the year 2003 at Faridabad (Haryana, India) and started its business as a reputed manufacturer and supplier of Polyester Sling, Alloy Steel Chain, Wire Ropes Lifting Products, Material Handling Equipment, Material Handling Trolley And Wheels, Lifting Equipment, etc. Offered products are manufactured by our adroit professionals using the best grade material and contemporary technology. In order to meet ever-evolving requirements of clients, we provide these products in different specifications and that can be modified also by our experts. All these products are broadly acknowledged for their exceptional features such as rugged design, high durability, simple installation, superb strength and premiums quality. Apart from this, clients can buy these products from us at pocket-friendly prices.